Discover the benefits of having a consistent family dentist that you can trust. When it comes to your family’s oral health what are the things you do to make sure everyone’s smile remains at its best? Are you not entirely sure? Well, one of them should be seeing one of our Springville family dentists Dr. Stephen Pratt and Dr. Stephanie Winterton regularly. Find out the benefit of choosing a family dentist. It’s convenient for everyone: Ever hate having to run one place to drop off a child for their after-school activities just to turn around and head the opposite way to run errands? Well, why would you do the same thing for your dental care? Now, when you turn to our Springville dentist we can treat every member of your family, from children to seniors. We have all the skills necessary to provide an array of dental services for anyone in your family so you save time. Rapport you can trust: It isn’t always easy to find a dentist that you can trust with your family’s dental needs, and to be honest, not everyone is a fan of the dentist. But once you find one that the whole family loves, it will make it that much easier to get everyone into the office for their routine visits every six months. Better diagnosis and treatment: Because we get to work with your family throughout the years, we have a great handle on every member of the family’s individual health issues and medical history. This makes it easier to provide a fast and reliable diagnosis and treatment plan to correct even the most serious of dental issues. Everyone gets a healthy smile: It’s so much easier to maintain healthy smiles when everyone can go to the same dentist for care. Plus, as we get to know you, we can tailor our treatments and dental care to fit all your needs. Whether this means getting dental sealants to protect your child’s teeth from decay or getting braces as an adult, we have all the options you are looking for. Need to schedule your child’s next routine dental cleaning? 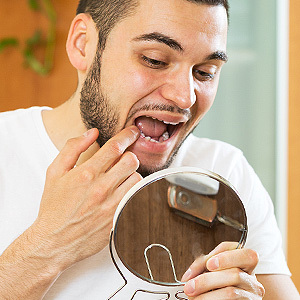 Are you curious about cosmetic dentistry? Then let everyone in the family get the care they need with Hobble Creek Dental Care in Springville. Call our office today!